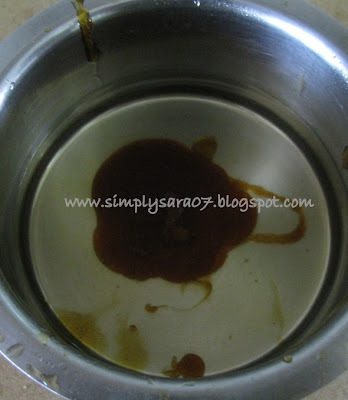 Karthigai/Thiruvannamalai Deepam Appam Pori Recipe! Karthigai Deepam falls on 1st of December 2009 and is observed by Hindus all over the world and mainly in Tamilnadu, India . Lamps are lit daily for 30 days beginning a grand day on the 1st day. Crackers are burst mostly reserved after Deepavali. People visit Lord Murugan (Son of Lord Shiva) temples and offer pooja. They also visit Vishnu temples and observe Vishnu Deepam is tomorrow celebrated by Iyengars. Day 3 thats day after tomorrow is Kuppa Karthigai were lamp is lit everywhere mainly at entrance of the house. Thousands of people visit Thiruvannamalai temple to see the Deepam(Lamp) lit in temple which is in Tamilnadu and offer prayers for the well being of families. House is decorated with decorative lamps and prasadams are offered to god. Pooja is performed in the evening with Pori, Appam and Adai as Neivedyam. 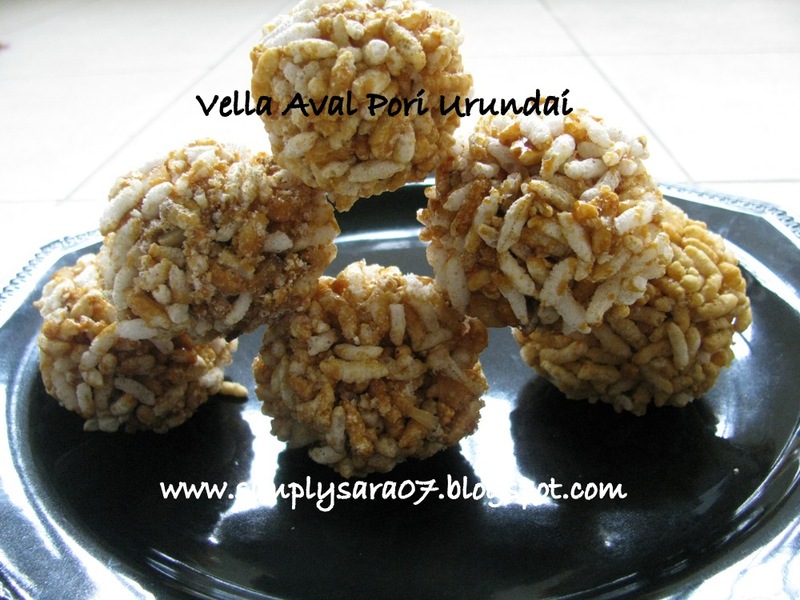 Traditional Festive Food without onion and garlic is prepared includes special Vella Aval Pori Urundai(Sweet Beaten Puffed Rice Balls), Nel Pori Urundai(Puffed Rice Balls made from Paddy), Appam and Adai. I would like to thank my Father and Mother in law for their help in making these. 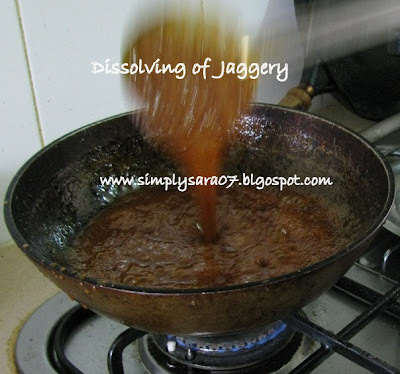 In a kadai, add vellam and sprinkle little water and start dissolving. Once its dissolved filter it since mud particles will be there in vellam. 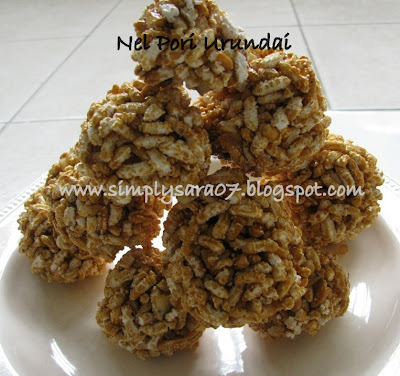 Now add Dry Ginger Powder, Coconut Pieces, Elaichi (Cardemum) Powder and Groundnut and mix well. Reduce the flame. In a wide vessel take the pori and slowly add this hot vella paggu. Caution since Paagu is very hot, dont mix with hand. Take a laddle and mix fully once its slightly cool. Start making balls and keep aside. Repeat the same process for leftover pori too. This is the same procedure for Nel Pori Urundai also. Such a prefect pori urundai...just love this..
wow..really gud one...very difficult to do na?? it looks perfect...send it to me ah..
U ve made it perfectly. wow nice urundais.I am also planning to do. Superb da the receipes are really great. You also reminded me that as per star its my dad's bday on Karthigai Deepam. Thanks a lot for this. Great going Saras, keep it up!!! Perfect recipe for the karthigai deepam. Love your recipes and happy to follow your blog; do visit mine when you are free.